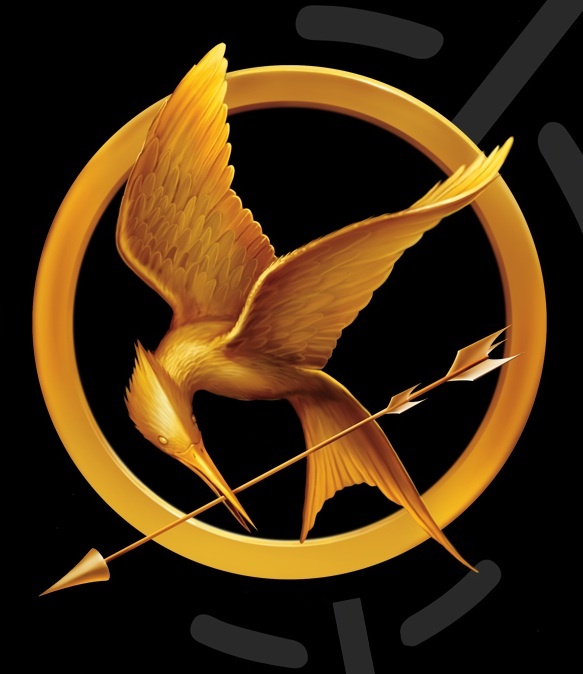 Thoughts on the Hunger Games – Not a review. Last Sunday I went along to see The Hunger Games with the Continuum crowd (And I must say, it was lovely to catch up with them again!). I had only recently read the trilogy, devouring it in about two days, and I had really enjoyed it. So, while I was very excited at seeing it on the big screen, I was a touch nervous about how well it would measure up to the books. Fortunately, I thought they did a wonderful job of translating it and I walked out really impressed. I’ve been reading online discussion about it, and I decided to jot down my thoughts. This isn’t a review as such (if you want to know whether to go see the answer is YES! ), or even that structured, just my musings. Before I go on to talk about what I thought the film did right and wrong, I think it is worth saying how exceptional the books really are. Some people tend to look down on books that are labelled as young fiction, but some of my favourite stories, ones that I come back to again and again, come under that label. I think judging young adult as somehow “lesser” is really just snobbery, and I try and judge a book on its merits, and there is plenty to like about The Hunger Games. I will try and not give away too much in the way of spoilers, but there might one or two in here, so be warned – proceed with caution! Ms Collins writes wonderful action scenes, and as I was reading the books I could see how it was a natural progression to turn them into movies. Despite the fact we are dealing with teenagers, she does not have them do anything beyond the realms of possibility and we can imagine them capable of all the feats they perform both in and out of the Games. One of the things I though she did really well was to examine the survival skills that would be necessary, thirst and hunger and exposure are as big an enemy as the other Tributes. Alongside the constant action, there are also some truly powerful emotional moments. If you are unmoved by Katniss’ act of self sacrifice as she volunteers to take her little sister’s place in the Games, or by Peeta’s willingness to die for her, or any of the innumerable other moments of nobility then I am not sure what to say. The many deaths are handled very well, not mere figures to add to the body count to add a contrived sense of significance, but events that have a vast impact on everyone involved. The world building is top notch, as is the characterisation. In fact, all these elements are done better than in many novels aimed an adult audience. Another remarkable aspect is how it doesn’t take the easy option and present a simplistic battle of good rebels versus bad establishment, but instead explores the corrupting influence of power and the malignant trap that is the idea of the end justifying the means. Ms Collins does not shirk away from the questions the story raises and she should be applauded for this. I never expect a movie to be better than the book it is based on, but I was pleasantly surprised by how well they managed to stay true to the spirit of the books, which is all that one can ask, really. I did think they lost the subtleties of Katniss and Peeta’s relationship, and Peeta comes across as indecisively traitorous rather than steadfast. In the books it is made clear that the only reason he enters an alliance is to protect Katniss, in the film it looks like he changed his mind after the wasps. I also thought that Peeta was the only role that the casting director got wrong, the actor was excellent but he didn’t look at all how I had imagined. The rest of the casting was superb, Katiniss especially, but I also loved Cinna (Lenny Kravitz exudes coolness whatever he does) and Haymitch. Speaking of casting, I was absolutely disgusted to hear reports that some fans were upset that Rue was played by a non white actress. Aside from the fact that she was described in the book as having brown skin, how does it make any difference to her role in the film? If people did, as reported, say things like that it made them less sad when she died then all I can say is those people need to have a good look at themselves because there is something lacking in their heart and soul. If the colour of someone’s skin affects how you feel about them, well, President Snow would be proud of you. To me, Rue’s death was a deeply poignant moment in the books, and I thought they captured it perfectly in the film. And, the moment where her District salutes Katniss brought a tear to my eye. The only other real gripes I had were the overuse of the shaky camera effect that made it look like Haymitch was making a home movie to keep his mind off the fact he had run out of alcohol the day before, and the obscured fight scenes. However, I realise that this was most probably a deliberate attempt to keep the rating down. One thing that both the movie and the books do an excellent job is presenting the type of strong female character that we see so rarely. Katniss is not perfect, she has faults and doubts but, to my uneducated eye (and I am open to correction on any of this, I do not claim to be any sort of expert), she avoids many of the tropes that Hollywood heroines fall into. While there is a love triangle, it is not what defines her and while she has assistance everything Katniss achieves is through her own strength and ability. She is not a helpless damsel to be rescued by Peeta whether he wants that or not, they are partners who both contribute to their survival. I can’t think of another female character in a young adult setting who can match her. As much as I love Hermione she is not the principal character of her mythos, and Bella is defined simply by the fact that Jacob and Edward want her and has no agency of her own. Katniss is the centre of the story and is defined by who she is, not what others want her to be. The Hunger Games is not perfect, but Suzanne Collins has created something special. It’s something that others can learn from and make a lot of other dystopian fiction look decidedly shabby in comparison. Hopefully the rest of the movies can live up to the first instalment, and I can’t wait to see how they go at doing so. This entry was posted in Geek, Pop Culture and tagged dystopia, movies, The Hunger Games, young adult on April 3, 2012 by David.